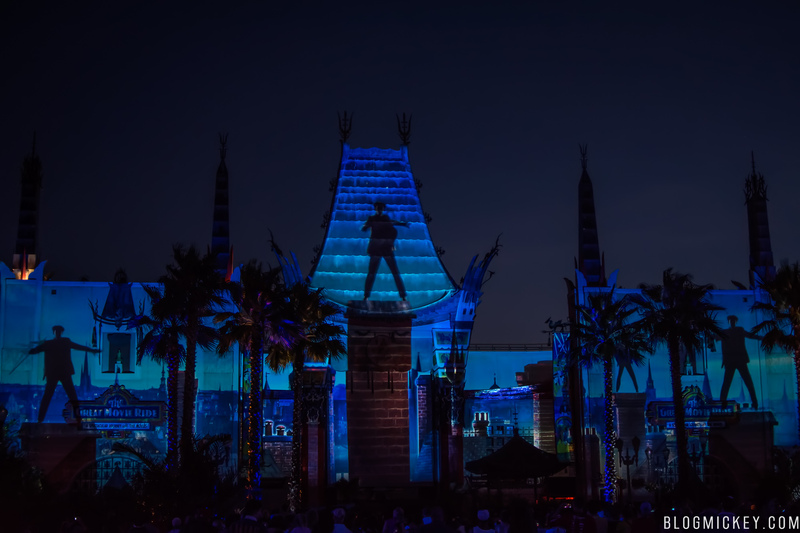 We recently had the opportunity to talk with Michael Roddy, Show Director for “Disney Movie Magic”, the brand new projection show at Disney’s Hollywood Studios. Here are some of the highlights of the conversations. Q: How did “Disney Movie Magic” get started? Roddy: The rooftop scene from Mary Poppins was the first scene pitched to higher ups and the concept grew from there. We wanted to put together a variety of memorable scenes from classic and modern movies. Q: What do you want guests to take away from “Disney Movie Magic”? Roddy: We wanted to remind guests of the feeling they had when watching a movie represented in the show. For me, it was the feeling of watching a movie you didn’t know much about before going in to view it. Nowadays we have social media and reviews up on opening day, but years back you just went to the theater and experienced the movie with little prior knowledge. Q: Speaking of little prior knowledge, this show debuted seemingly out of thin air. How long were you working on it? Roddy: Exactly! We wanted to allow guests to experience it like old movies, with little to no prior knowledge of it. While it may seem like it came out of the middle of nowhere to our guests, we have kept this a pretty well guarded secret. It took almost a year to create. Look for more “surprise and delight” offerings in the future. Q: What was one of the biggest challenges you faced when creating the show? Roddy: The scale of the projections that we’re doing is so large that some of the older movies had to be remastered to 4K. Somewhere out there is a 30-second clip of Old Yeller in 4K that we remastered for Disney Movie Magic. In addition to remastering clips, some scenes were filmed against green screen just for Disney Movie Magic. Two of them are the rooftop scene from Mary Poppins and the boulder chase scene from Indiana Jones. Q: There are a lot of movies represented. How many are there? Roddy: There are more than 100 Disney live action movies represented. This includes both movies that fall under the traditional Disney heading and some of our great partners at Marvel and Lucasfilm. Q: Is there a possibility that we could see new films introduced? Roddy: We’re always looking at new properties and have some wonderful movies coming out this year that you may see represented in Disney Movie Magic. Q: We loved seeing Cinderella Castle at the end. Any special reason for that? Roddy: Cinderella Castle has been an iconic introduction to Disney movies for decades, so we had to put it in! 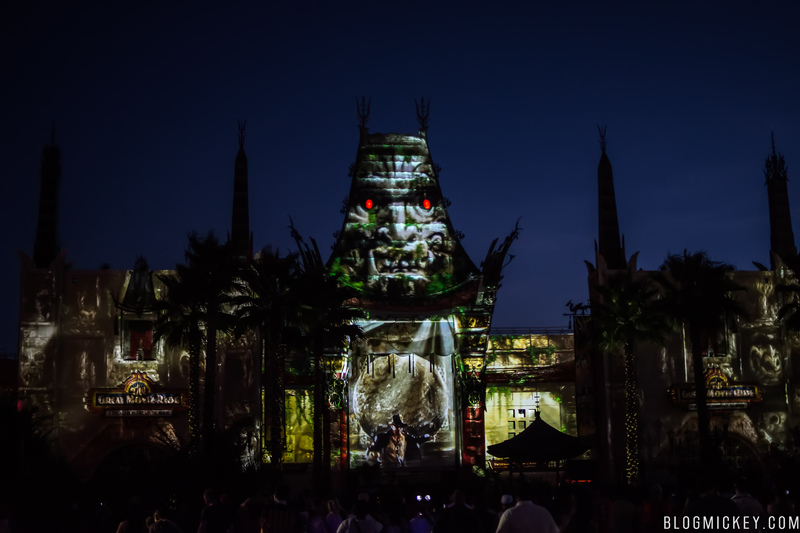 Q: How long will Disney Movie Magic be playing at Disney’s Hollywood Studios? Roddy: Disney Movie Magic is an ongoing offering. 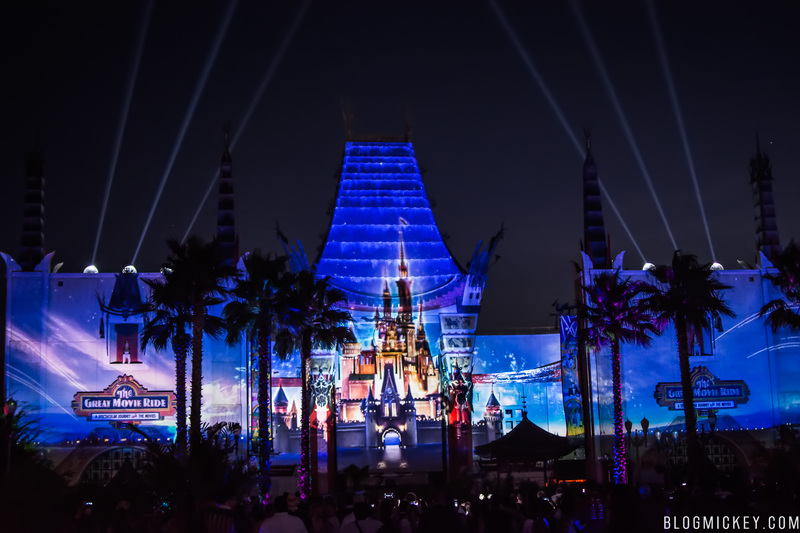 If you haven’t yet seen it, here’s our multi-angle view of Disney Movie Magic, now playing nightly at Disney’s Hollywood Studios ahead of Star Wars: A Galactic Spectacular.